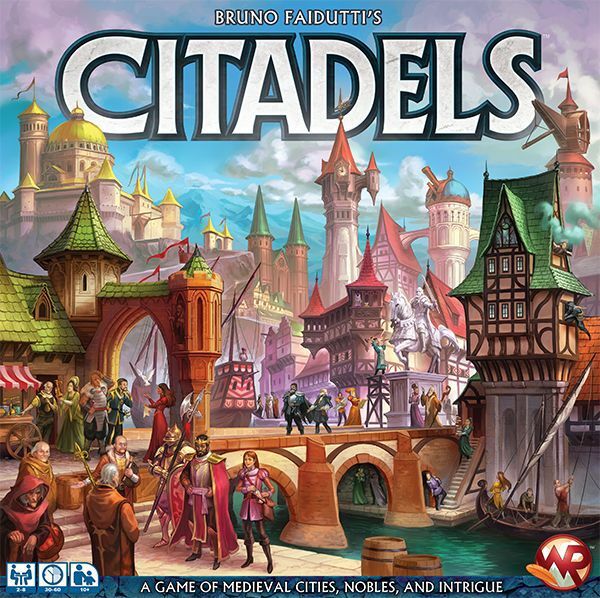 Citadels is a game created back in 2000 by Bruno Faidutti. It was an immediate finalist for the coveted Spiel des Jahres, and developed a unique reputation as a very competitive, bluffing game. In Citadels, you are competing to build the greatest buildings in the entire city. Each building costs an amount of money to build, and at the end of the game, you score points based on the overall gold cost your buildings. Players have to gather gold and buildings at a breakneck pace to keep up! This cool little game is streamlined and wonderful, giving players tons of important choices and options at every turn. I've been playing it for years and I highly recommend it to everyone.